Stephanie Lee is back with a brand new course! Stephanie is one of my favorite humans and artists and I am always so excited when her work is on our creative network. 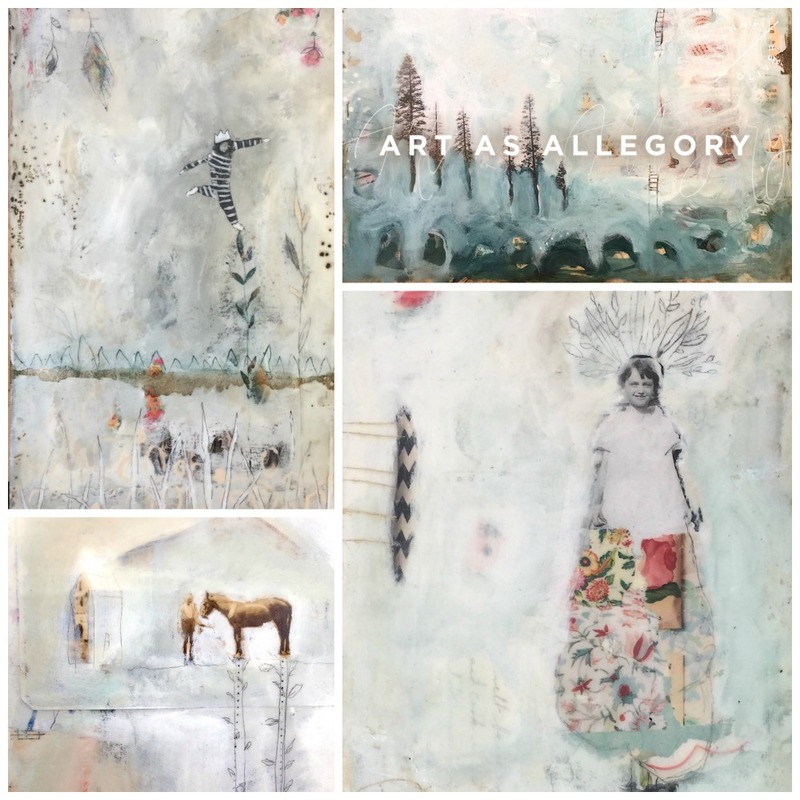 Early registration has just opened for Art as Allegory with Stephanie Lee! Four+ hours of course content, lifetime* access and an early registration price of $32. The price will change to $48 on June 6th @ 10 pm MST and the course will go live on July 6th, 2018. Let’s rekindle the power and joy of creating art as a way to represent an abstract or spiritual meaning dear to your heart. 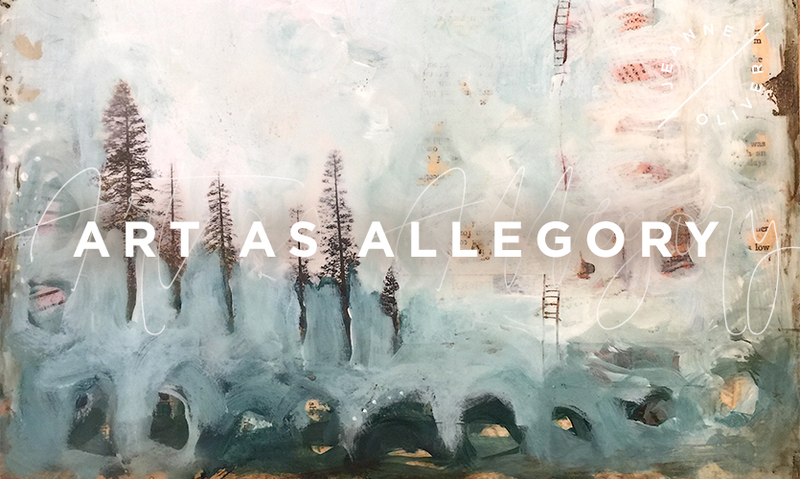 Through a sampler project, you’ll explore various combinations of plaster, encaustic medium, image transfers, collage, and paint. Creating a catalog of beautiful technique reference materials, to uncover which combinations embody your creative voice, revealing the path to your greatest joy and fulfillment in art making. Once all the elements of your sampler are created, I will guide you through compiling them for display or in a simple, tactile (and easy) handmade book form as a reference, an inspiration, and as a work of art on its own.